We just got back from an amazing week in Florida at Walt Disney World. My family attended the Disney Social Media Moms Celebration. As an attendee I had the opportunity to attend special events including a 1 mile Fun Run hosted by GoGo Squeez. 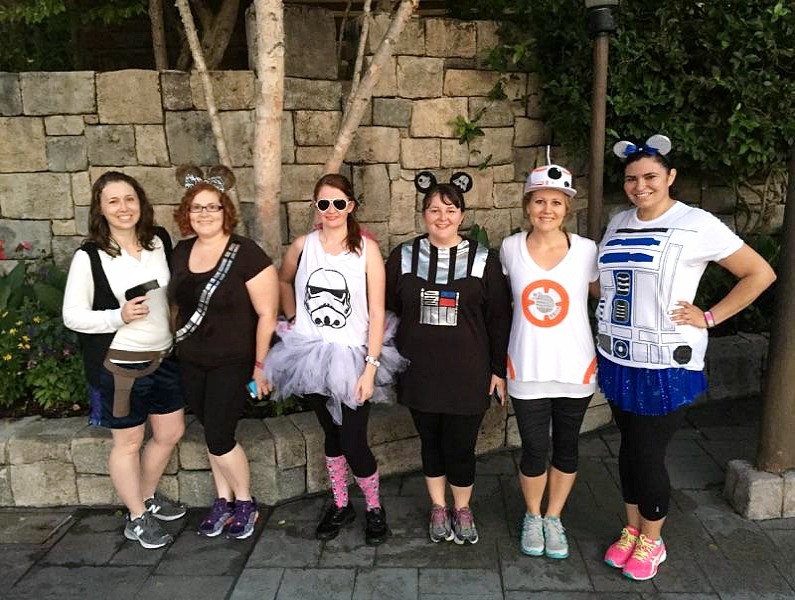 My network of Arizona bloggers and friends decided to craft up the cast of Star Wars for a fun, Run Disney group costume. 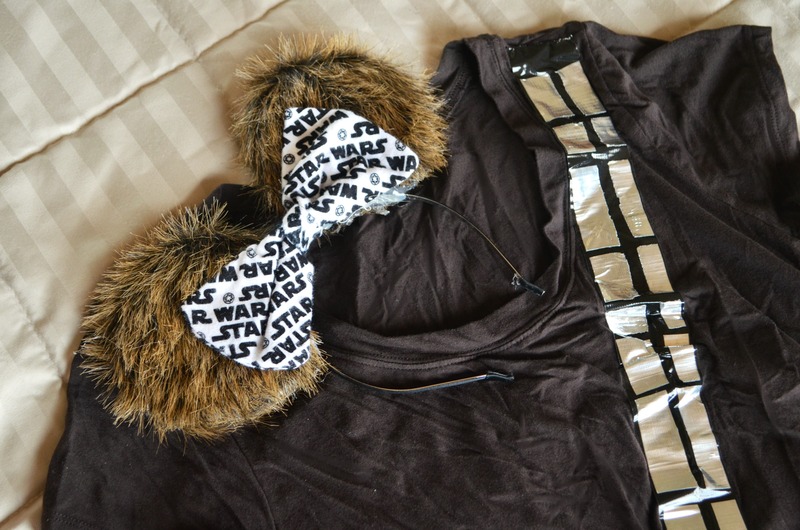 These Mickey ears completed my easy Chewbacca outfit. 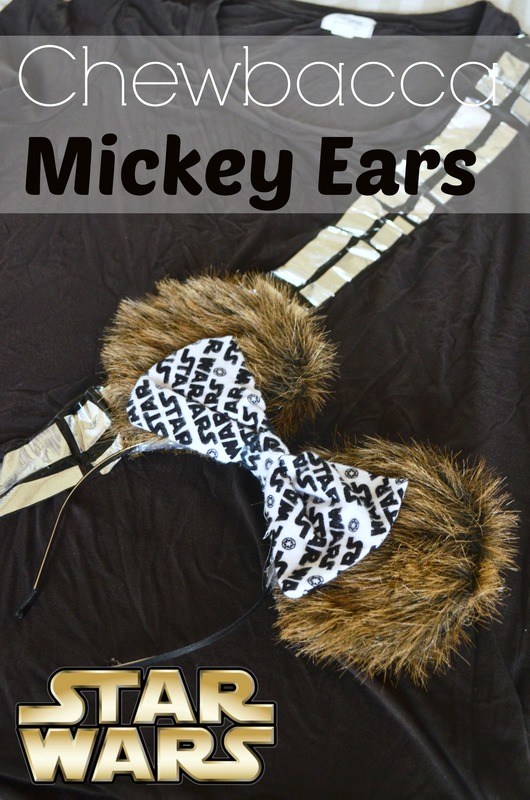 All that’s needed for these ears is an object with a 4″ diameter, fur (find teddy bear fur at your hobby store), Star Wars fabric, headband, and cardboard. You’ll need thread and hot glue to assemble. Trace your round object onto the cardboard twice. 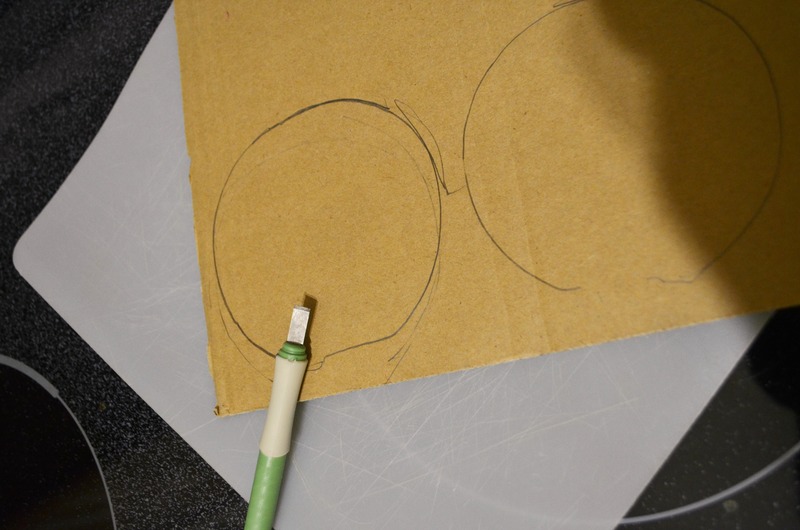 Lay your headband just inside the bottom of each circle and trace the indent. Use an e-xacto knife to cut out each ear. 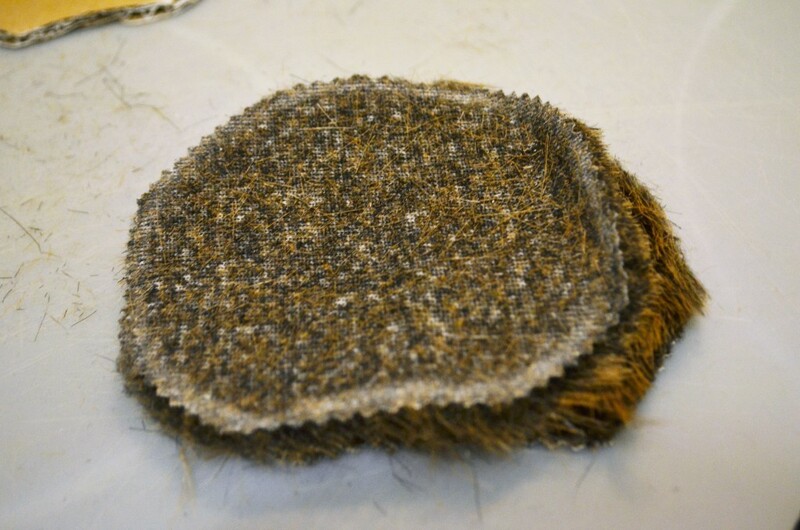 Fold your fur in half, right side to right side. 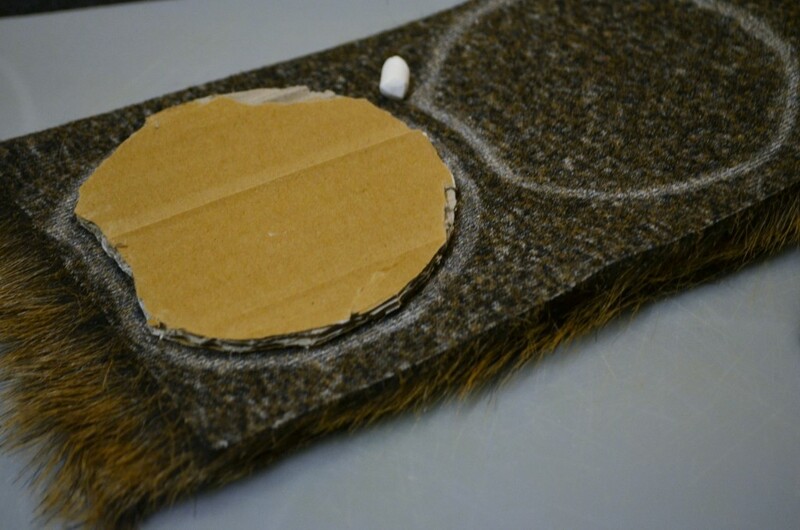 Place your cardboard ear onto the backside of the fur. Trace with chalk around the outside edge of each ear. You will need a total of 4 fur ears. Have a vacuum handy for this next step; there will be fur EVERYwhere. Cut along the outer edge of the chalk line, making sure you have at least a 1/4″ seam allowance. Place 2 ears right side to right side. Sew along the inner side of the chalk line, starting with one corner of the bottom and ending with the other. You want to leave a gap to slide your cardboard into for stability. Do the same for the second set of ears. Flip your ears right side and stuff your cardboard inside. You might need to fold it a little to fit it inside. Place a thick bead of hot glue across the open end of your ear (bottom). 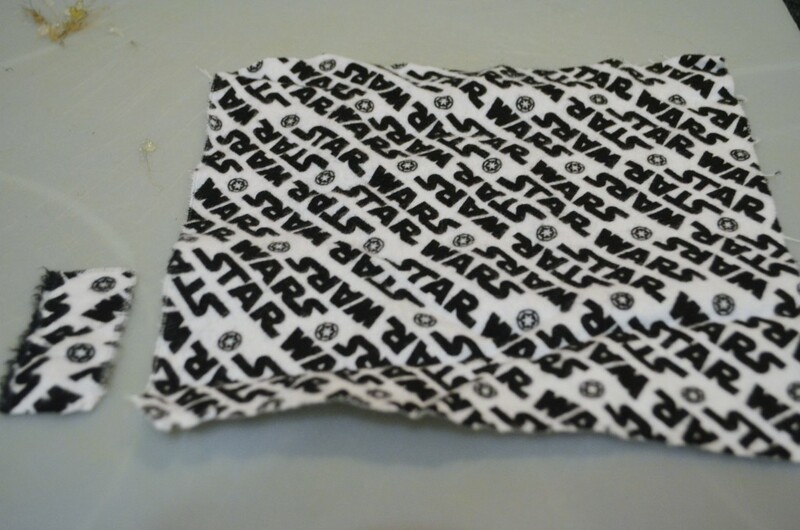 Place on top of the headband, hold until dry/firm. Do this with both sets of ears, securing about 2.5″ apart. You want the hot glue to drip and encase the bottom of the headband. It looks a little messy on the bottom, but serves two purposes. It secures the ear tightly to the headband, mine made it through two flights. 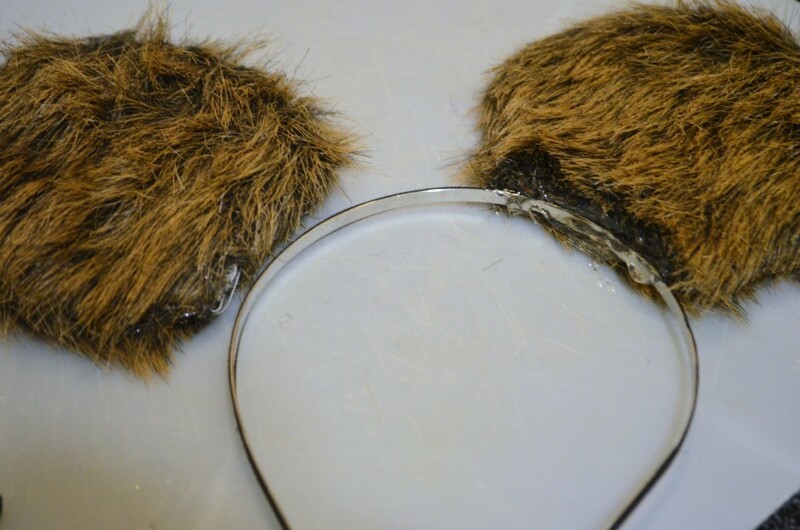 Second, the hot glue acts as a grip and keeps the headband in place on your head. Especially important when running. Next, you’ll cut out the fabric for your bow. I wanted an oversized bow so I cut out an 8″x9″ rectangle. Cut out another piece for the middle of the bow about 1″x3″. Fold your rectangle in half longwise, right side to right side. Sew along the outside leaving a gap to flip the fabric right side. Once you flip, iron your opening and sew closed. To finish your bow, press all the seams flat. Fold your bow in half longwise. Then fold each end back to the middle fold. 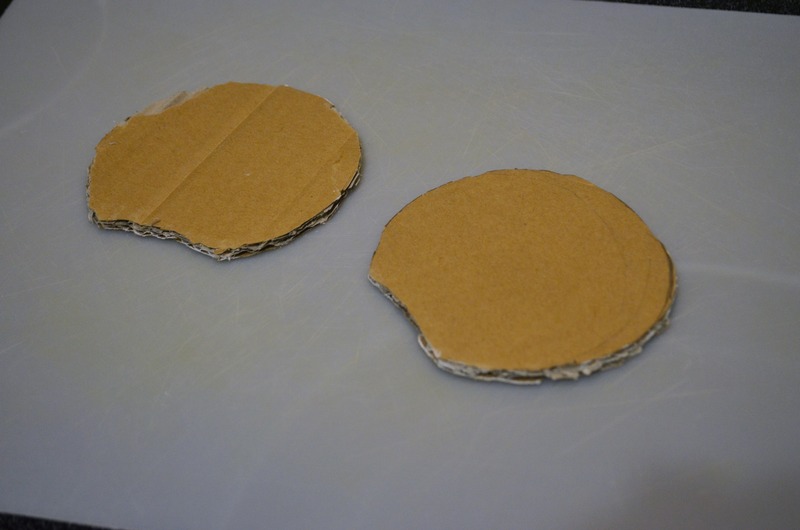 Place a little hot glue under each fold to hold. 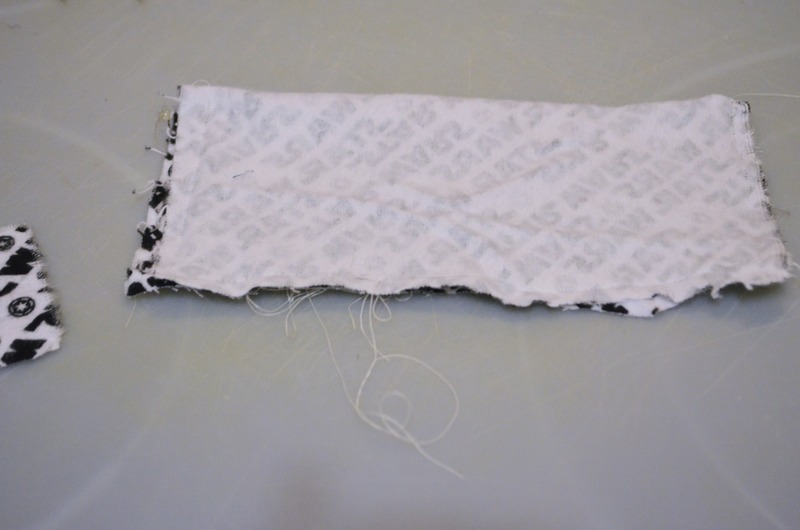 Wrap your rectangle fabric around the middle and secure with hot glue. 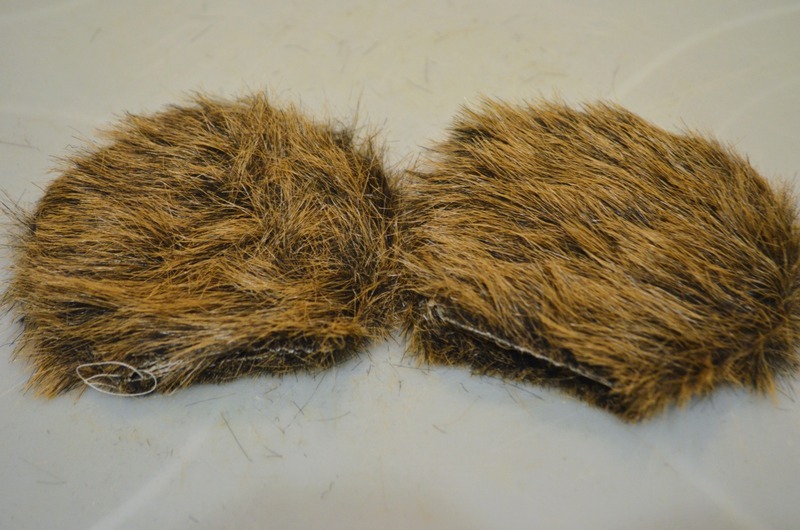 Place the bow between the ears and hot glue to the headband. 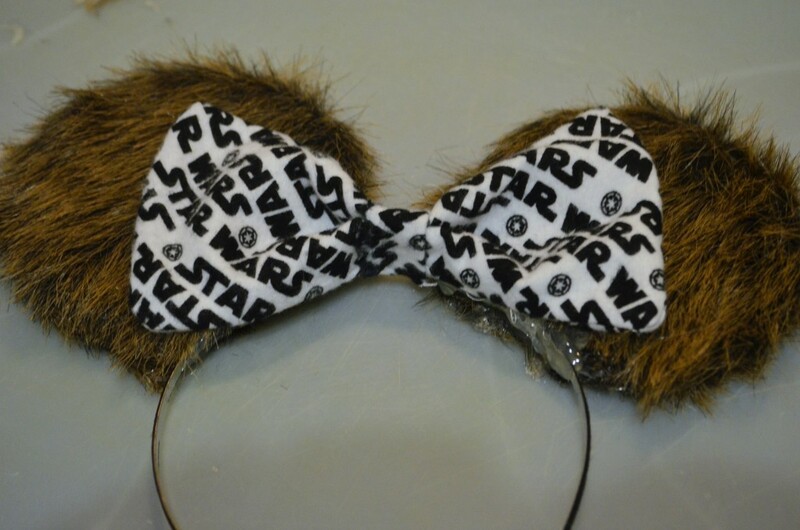 All that’s left to do is create an easy duct tape Chewie t-shirt to pair with your Chewbacca Mickey ears. 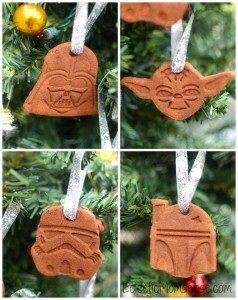 Then go out and find some droids, a Han, and some imperial forces to chase after. 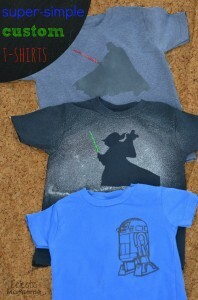 Haha, my daughter will love this. 🙂 Can’t wait to make this, thanks for the easy guide!